For processors, investing in transparency can mean winning customers. Vermont will require food containing genetically engineered ingredients to be labeled. The so-called “GMO label” law took effect on July 1; however, it contains a six-month grace period, so food labels have until Jan. 1, 2017, to get into compliance. Vermont will require food containing genetically engineered ingredients to be labeled. The so-called “GMO label” law took effect on July 1; however, it contains a six-month grace period, so food labels have until Jan. 1, 2017, to get into compliance. Download this quick guide to getting your food labels in tip-top shape and ready for sale in Vermont by the end of the year. Today more than ever before, consumers want to know what’s in their food, how it’s made and where it comes from. We see this playing out in the debate around GMO labeling; in the push to reformulate with colors and flavors derived from natural sources; and in the effort to clean up labels with fewer, simpler ingredients. In all of this, the underlying theme is transparency. Consumers want more of it, and many manufacturers are racing to figure out how to deliver it. As a result, consumer trust in brands is fading. 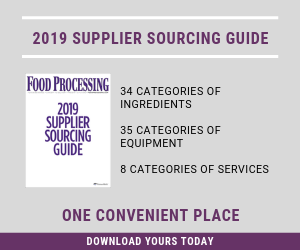 A recent study found that 67 percent of consumers expect brands to provide complete and accurate product information, yet only 12 percent ranked brands as their most trusted resource for information about what is in their own food. Furthermore, nearly all respondents (94 percent) said it is important that brands are transparent about what’s in their products. It’s clear that consumers value this information, but does it really impact sales? The data says yes. In the same study, more than a third of respondents (37 percent) said they would be willing to switch brands if another brand shared more detailed, easy-to-understand product information. For manufacturers, investing in transparency can mean winning customers. But often, satiating consumers’ hunger for information is challenging. Many companies lack centralized product databases complete with granular information. At Label Insight, we often hear from brands that want the ability to search a portfolio for products that are free from a specific ingredient or that meet certain FDA guidelines. These sound like simple tasks, but without the technology to transform the information found on product packaging into granular attributes, they are often tedious, manual jobs. As a result, manufacturers are slow to respond to consumer questions and market trends. The benefits of granular data -- and increased transparency -- are real. First, it gives manufacturers the ability to understand how stakeholders perceive or view their products. Every stakeholder has its own lens: A retailer may be interested in all-natural products, a consumer may want peanut-free items or a regulatory group may care about the amount of sodium or sugar a product contains. Granular attribution enables manufacturers to view their data through these different lenses. Dagan Xavier is co-founder and vice president of customer intelligence for Label Insight, a cloud-based data engine to help brands and retailers better understand their own product data in order to pass that information along to consumers. See www.labelinsight.com. It also simplifies participation in industry programs like SmartLabel. SmartLabel is a great way for brands to share detailed, easy-to-understand product information in a standardized format. But with 52 mandatory attributes and 197 voluntary attributes, participation can require a lot of data gathering. Companies that invest in granular data attribution will find it easier to compile this data. A third benefit is competitive analysis and benchmarking. By gathering granular data on multiple brands within a category a company can learn things like how its products fit within the category, what claims other brands are making and what formulations are most popular. This highlights yet another benefit: identifying reformulation and innovation opportunities. If a company manufactures products in a category that is responding to shifts in consumer preferences -- for example, lowering sodium or removing artificial colors -- it can use granular data to identify popular reformulations. Alternately, digging into category data can highlight white spaces or gaps that a brand may want to explore. At Label Insight, we recently helped a bakery brand understand what variation of the word “salt” resonates best with consumers. (Salt can appear on a product label in many forms, such as sodium chloride, sea salt, hint of salt.) We gathered product data on the category, then integrated point-of-sale data to determine how competitors talk about the ingredient and what variation drives sales. Now, the brand can feel confident that its ingredient list is easily understood by shoppers. This is just one of hundreds of use cases for granular data. Brands have an opportunity to improve their business and better meet the needs of consumers and retailers when they take control of their product data. Is Your Packaging Ready for Vermont GMO Legislation?